The media, at the behest of our always ‘even handed’ government, likes to wind us up about “terror groups” and the threat they pose to our way of life. Responding to “terrorism” has defined US foreign & domestic policy since 2001. In our zeal to take the battle to the ‘terrorists’ we’ve invaded and destroyed two countries thus far and are attacking targets within a third (Pakistan) on a daily basis. Recently, we now have a well publicized policy wherein the President can (and does) order the extra-judicial murder of ‘terrorists’, even if they are American Citizens, anywhere in the world in the event anyone wants to allege they’re badguys. The media is abuzz with stories on the Texas born “terrorist” (Anwar al-Awlaki) that the CIA has been given the green light to hunt down and murder on sight. Many Americans (seem to) feel there’s nothing wrong with this policy of assassination without any ‘due process’ even though the only ‘factual’ evidence I could find about the Texan mentioned above was that a federal arrest warrant issued for him in Colorado was withdrawn in 2002 because prosecutors ultimately lacked evidence that he had committed a crime. Apparently, many (seem to) have little issue with daily airstrikes against nations who have not attacked the United States either even though we still think of ourselves as a nation of Laws. We Americans are supposed to be open minded, believing in ‘equality’ and all that good stuff so, I’m thinking, if my country is willing to toss the previously earned title of the ‘Good guys’ (‘a la John Wayne & apple pie) under the bus by murdering folks without due process or trial and bombing sovereign nations who haven’t attacked us or that we’ve not bothered to declared war on, along with all the collateral civilian casualties that results, who am I to argue? That said, shouldn’t we we expand on this policy a bit making it more ‘equal opportunity’ in its application? 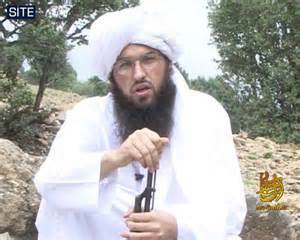 Shouldn’t we issue an immediate Presidential kill order for another American, Adam Gadahn who’s videos we can see on Youtube wherein he claims to be the spokesman for Al-Qaeda and advocates attacking American interests. The FBI lists Gadahn’s aliases as Abu Suhayb Al-Amriki, Abu Suhayb, Yihya Majadin Adams, Adam Pearlman, and Yayah (http://www.fbi.gov/wanted/terrorists/gadahn_a.htm). Adam Pearlman is his REAL name and Adam is the grandson of the late Carl K. Pearlman; a prominent Jewish urologist from Orange County and member of the board of directors of the Anti-Defamation League who passed away in ‘98. Shouldn’t we go kill this bum too as well as any friends, family or acquaintances who might be hanging out with him when the UAV finds him? Along the same lines, shouldn’t we expand on Pakistan? Wikipedia quotes the FBI’s Mary Doran who stated in 2004 Congressional testimony that the JDL (Jewish Defense League) is “a proscribed terrorist group” (http://en.wikipedia.org/wiki/Domestic_terrorism_in_the_United_States) so, shouldn’t we go get those SOBs too? Interestingly, their north American base of operations is in Canada (see: http://www.jdl.org/index.php/about-jdl/locate-your-local-jdl-chapter/international/). Shouldn’t we authorize NORTHCOM to carry out immediate airstrikes against all Canadian cities found to host offices of the JDL? A few dozen AGM-86B/Cs having a range of 1,500 miles, launched from well within US borders would do the trick. Shouldn’t we put some through the front door of every one of their offices or the restaurants their members frequent at lunch and if hundreds of Canadian civilians get torched in the process (as in Pakistan) Hillery can issue the standard US response that “we regret the civilian casualties”, bla, bla, bla. While we’re at it, shouldn’t we expand these airstrikes to the JDL offices in the UK, France, Holland, Denmark, Sweden, South Africa and every other country who (according to the JDL web site) harbors these terrorists. Being good American folks believing in ‘equal opportunity’, why the heck should we limit our testosterone driven, (allegedly) righteous wrath to one group of terrorists or Afroasiatic countries in CENTCOM’s area of operations when so many opportunities present themselves to go after bad guys closer to home? Think of the boom (no pun intended) in business for Boeing, Williams Research and Litton Guidance and Control when we start lighting off these AGM-86s all over the place; this ‘terrorism’ stuff is, after all, a business model to be exploited. (Let me buy some stock options first, of course.) Talk about “green shoots” jump starting the economy. Yahoo! Now before you call me nuts I believe that a thinking person might ask what the heck’s the difference between launching attacks against Pakistan whenever we ‘think’ some “terrorist” is operating from some town inside their border and launching similar airstrikes against Canadian cities (or British, French, Dutch, etc.) harboring “terrorists” that our FBI has publicly identified? What’s the difference between ordering the murder of some Texan accused of supporting Al-Qaeda and ordering the murder of a certain ex-Californian Jewish gentleman named Adam Pearlman who declares himself Al-Qaeda’s American “spokesman”? In Vietnam, certain ‘gung-ho’ troops adopted the motto “Kill em all and let God sort em out” and I wonder why we don’t (or can’t) apply that maxim today in this context? This entry was posted in Foreign Affairs and tagged Adam Pearlman, Al-Qaeda, Anti-Defamation League, Anwar al-Awlaki, Constitution, Israel, murder, Pakistan, terrorists, US policy. Bookmark the permalink.